FILE PHOTO: A model displays a creation from the Prada Spring/Summer 2018 show at the Milan Fashion Week in Milan, Italy, September 21, 2017. 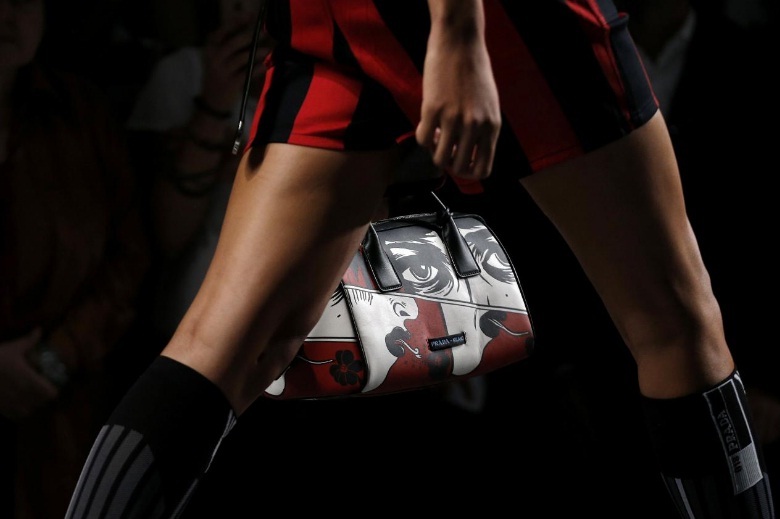 BEIJING/MILAN - At Prada’s Spring/Summer 2018 show in Milan last week in a warehouse papered with giant pop-art comic strips, one name in the coveted front row stood out: Tao Liang, otherwise known as Chinese blogger ‘Mr Bags’. His presence alongside Vogue’s Anna Wintour and Italian influencer Chiara Ferragni is a sign of Prada’s efforts to turn around its business with a focus on the digital sphere - where it has lost ground to rivals including Kering’s Gucci. Prada, whose profits and sales have been sliding, is playing catch-up with rivals like Louis Vuitton, Fendi and even the more affordable luxury brands like Coach. All have raced ahead, forging tie-ups with bloggers and online stars who draw in Asia’s smartphone-obsessed youth. Prada, which appointed a new global digital director, Chiara Tosato, in March, is starting to catch on. Tosato said earlier this month the fashion house would look to drive online sales globally - a change from 2014, when CEO Patrizio Bertelli said it would focus on physical stores. Yet Prada’s modest online sales target, including sales through e-tailer partners, is for 5 percent of its total by end-2018. For smaller, luxury outerwear maker Moncler, it’s 6 percent this year - meaning it’s already reaping the data dividends that come with online sales. FILE PHOTO: Italian designer Miuccia Prada acknowledges the applause at the end of her Spring/Summer 2018 show at the Milan Fashion Week in Milan, Italy, September 21, 2017. Even as its China sales recovered slightly in the first half of this year, to 302 million euros ($359 million), Prada’s global profits fell 18 percent, after a 2016 bottom line that was its lowest since its 2011 initial public offering. Gucci, meanwhile, has seen its sales jump. A Reuters analysis of Weibo shows Prada far behind Coach, Gucci and Louis Vuitton in terms of celebrity tie-ups and endorsements online. The brand has 309,000 followers on the popular platform - around a tenth of what Coach can boast. Unlike some rivals, Prada has steered clear of creating limited edition capsule collections in collaboration with influencers. In contrast, a young, fringe Chinese rap group told Reuters they were in talks with Coach over a tie-up - a sign that even potential future stars are being tapped. Akane Kishi, a 29-year-old human resources worker shopping in Tokyo, said Prada had just not kept up. “I often see Fendi on Instagram and think I want to buy that one, in that color,” she said. 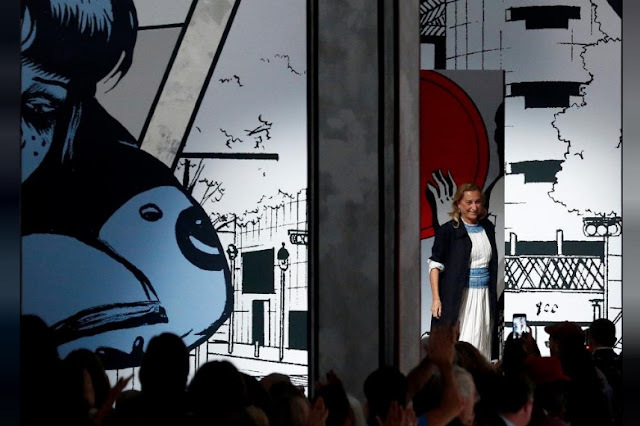 At Prada’s Spring/Summer 2018 show in Milan last week in a warehouse papered with giant pop-art comic strips, one name in the coveted front row stood out: Tao Liang, otherwise known as Chinese blogger ‘Mr Bags’.